One of the best arguments against superstitions is how variable they are across cultures. For example, if a rabbit's foot is lucky for anyone except the rabbit, it shouldn't matter if you're from the southeastern United States (where the superstition seems to be the most common). Rabbits were lucky animals in some cultures -- but not among British sailors, for whom a rabbit dashing on board would prevent a ship from sailing that day. Throwing a pinch of spilled salt over your shoulder originated with the Romans. In traditional Chinese folklore, you'll ruin your family's prosperity if you build your house facing north. In Jamaica, you shouldn't feed a child cooked chicken before (s)he can talk, or the child will be mute. In Spain, you should eat twelve grapes at midnight on New Year's Eve -- one month of good luck will follow for each grape you've eaten. None of these superstitions are known in cultures other than the one where they originated -- which should indicate that they are nothing but folk legends, with no basis whatsoever in truth. Now first, it needs to be established that there actually is a pattern of young men dying, here. And it appears that there is; Sudden Unexplained Nocturnal Death Syndrome has been known in Southeast Asia since 1977, where it was first observed amongst the Hmong of Laos. It has since been recorded in Thailand, mostly in populations of Laotian ancestry, and the cause has been identified as a gene that results in cardiac fibrillation during sleep (called "Brugada syndrome"). But knowing the scientific explanation for something doesn't usually stop the superstitious from clinging to their own answer, and the "widow ghost" idea has been spreading. As has the solution. How do you keep away a "widow ghost?" Simple, the people of Tha Sawang say. Hang up a red shirt in front of your house. 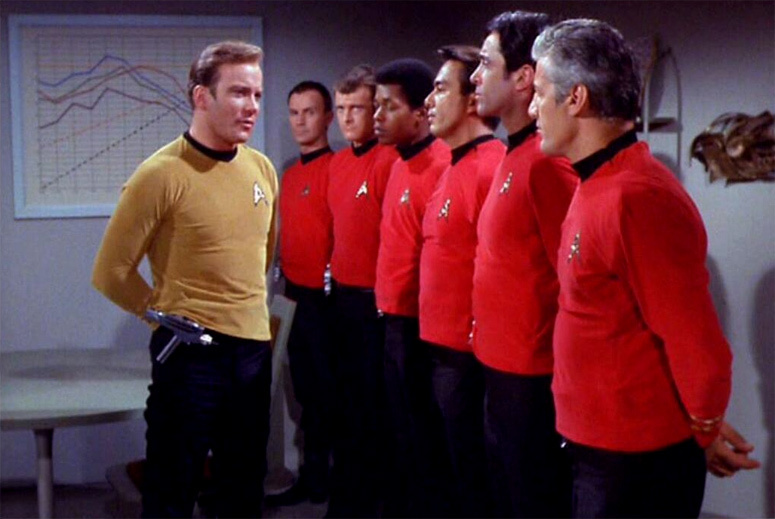 Red shirts, they say, repel the evil spirit, because red is a lucky color. "So, men, you've been selected for a mission on which you're all going to die horribly. But I want you know that as your captain, I'm proud of the sacrifice you're about to make." The downside of some superstitions, of course, is that it prevents people from seeking rational answers (and potentially solutions) to their problems. In the case of SUNDS/Brugada syndrome, it's especially problematic, since the fibrillation strikes young men who previously showed no sign of disease -- fostering the belief that the deaths are due to some random, unseen force, and giving credence to the superstition. 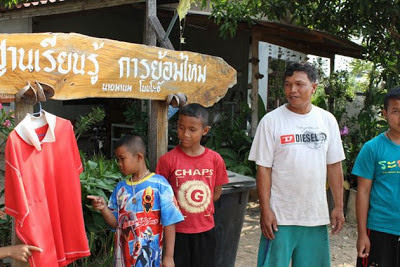 In point of fact, there's no good medical answer to SUNDS yet, short of hooking every young male in northern Thailand to a heart monitor every night, so the "widow ghost"/red shirt response is going to be hard to combat. It's easy to laugh at all this, but the fact is, we're all subject to such phenomena as correlation/causation error, where we use the fact that two things happened simultaneously (e.g. wearing a particular t-shirt and your favorite sports team making an unexpected win) with the first causing the second. It's especially prevalent where we don't understand what the cause of the second event actually was, and most common of all where education in science is lacking. Put those three things together, and you'll usually end up with a long list of items or actions that are considered lucky -- and an equally long list of unlucky ones. That said, there are superstitions that persist even amongst rational, well-educated people, who presumably should know better -- something I find frankly mystifying. So I'll wrap up here, because I'm almost out of time, and have to get myself ready for school. Got my clothes all picked out. No red anywhere. So if I suddenly drop dead today, just blame the "widow ghost" paying a visit to upstate New York. Red Shirts is awesome i realy like this thanks for share nice blog.